Cost install hurricane shutters varies greatly by region (and even by zip code). Get free estimates from window treatment specialists in your city. Cost install hurricane shutters varies greatly by region (and even by zip code). Get free estimates from window treatment specialists in your city. The average cost of installing hurricane shutters is approximately $2,100 - $6,400. How much does it cost to install hurricane shutters? Homeowners who live in hurricane zones must take extra precautions to protect their home. One way they do this is by installing hurricane shutters over all openings. Hurricane shutters protect a residence from damage due to high winds and flying debris. In some cases, they may also safeguard against the looting that often happens just after a hurricane. Nationwide, the average cost for 320 square feet of window shutters is approximately $2,100-$6,400. Storm panel: Made from corrugated steel or aluminum, storm panel hurricane shutters consist of multiple panels that overlap one another. The overlapping panel design ensures that the various pieces reinforce one another to provide maximum protection during a hurricane. Accordion: Accordion shutters are ones that fold up accordion style when not in use and are permanently attached to the home. They may consist of a single panel attached to one side of the window or two separate pieces, one on either side. Most accordion-style shutters are made from aluminum. They are installed using a track-and-wheel system that makes them easy for one person to unfold. Colonial: Colonial hurricane shutters are designed to look much like conventional shutters, and even have the same louvered texture. One shutter is placed on either side of a window and is approximately one-half its width. The two pieces can then be folded together to completely cover the pane during a storm. Bahama: This type also resembles traditional shutters, with the exception being that they are all one piece. Bahama hurricane shutters attach to the top of your window and are propped up via a rod that extends from the window frame. In that way, they provide partial shade for your windows when not in use. Bahama hurricane shutters are similar to the window awnings used in many warm climate areas. Roll-down: This type somewhat resembles a roll-down garage door, just on a much smaller scale. Roll-down hurricane shutters sit in a storage box affixed to the top of your window when not in use. You may roll them down manually or have an electronic closing device attached so that they descend automatically at the touch of a button. 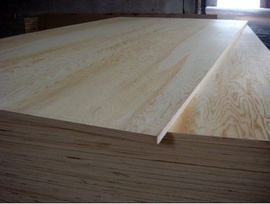 Plywood: Homeowners with no formal hurricane shutters in place may use plywood 1 panels instead. To provide adequate protection, plywood hurricane shutters should be at least ⅝” thick and overlap the glass by at least four inches all the way around. They will then need to be attached to your exterior walls using ¼” screws or three-to-four-inch barrel bolts. Hurricane shutter options range from inexpensive plywood or fabric panels to sturdy, aluminum roll-down shutters. Bahama, accordion, and Colonial shutters fall into the mid-range price category. Many of the least expensive choices can be installed as a DIY project, while those in the higher price range require professional installation. Approximately one hour of labor is required for every seven square feet of hurricane shuttering. Contractors may charge anywhere from $35 to $85 per hour, with the average homeowner paying around $60 per hour. For 350 square feet of windows, the charge for labor would then be around $3,000. If you are covering a 24” x 24” window, you could expect to pay between $210 and $510 in labor charges. Those looking for inexpensive options may sometimes choose fabric storm panels over hurricane shutters. Fabric storm panels come in a variety of materials, many of which are coated with resin and thoroughly tested for impact resistance. So while they are lightweight, they do provide exceptional protection in the event of a hurricane. Some have even been Category 5 wind load tested. Fabric panels are easy to install and are therefore a good choice for homeowners who want a DIY option. They are also simple to repair should a panel rip or tear. It is also possible to retrofit a fabric panel to an odd-sized window, thereby eliminating the need for a custom shutter. Large panels can be heavy and may require more than one person to install. Homeowners who are concerned with aesthetics often choose impact-resistant windows instead. Sometimes referred to as hurricane window glass, they consist of thick panes of glass that have an inner layer of polyvinyl butyral (PVB) or ethylene vinyl acetate (EVA). They are designed with the same technology used in automobile windshields so that when impacted, the glass will only shatter and not break up into shards. Impact windows provide greater protection, but also come with a much higher price tag. These windows can cost between $40 and $55 per square foot, with installation ranging between $100 and $600 per window. 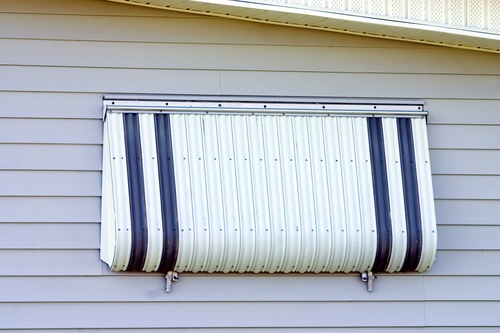 Homeowners should regularly clean the tracks of their roll-down or accordion shutters. This will ensure they are free of debris and do not “lock up” whenever you need to lower them quickly. Locking rods and thumbscrews should also be lubricated using a spray silicone at least annually. These are easy DIY tasks that anyone can perform without needing any special tools or equipment. Colonial or Bahama shutters are permanently attached, and may therefore suffer UV damage. To keep them looking like new, homeowners will need to paint them every three to five years. The cost to paint an entire house full of shutters is between $200 and $500, which includes the price of paint and supplies. Those in “Hurricane Alley” can save money on their homeowners insurance by installing hurricane shutters. Studies have shown that homes with hurricane shutters sustain fewer damages during a storm, and may also be less prone to having their roofs lifted. The average savings for Florida homeowners is around $500 per year. Those looking to sell their home in the near future should consider the Return on Investment (ROI). In general, the ROI for most types of hurricane shutters is around 50%, while the ROI for impact windows is anywhere from 80 % to 86%. So while impact windows may cost more initially, they may pay greater dividends in the long run. Clear plastic polycarbonate 4 panels are an affordable DIY option for those who would like something a little stronger than plywood. Each panel contains a wavy design to help it deflect debris, and covers approximately one foot in width. As such, these shutters are sold by length, with most costing between $9 and $11 per linear foot. Some are certified by the American Society for Testing and Materials (ASTM), and meet Miami-Dade County building codes. It generally costs more to install hurricane shutters on two-story homes and ones with skylights. That’s because it takes more man-hours to carry shutters up and down ladders. Skylights may also require custom fittings, which increase the cost. Not everyone enjoys the look of hurricane shutters. Many believe they provide an industrial appearance that detracts from a home’s aesthetics. This is largely due to what is known as “visual pollution,” or the inability to enjoy an unhindered view. Fabric or mesh shutters are often seen as a more attractive solution, particularly because they allow people who shelter in place to see outdoors. Building permits are required throughout Florida and in many other coastal areas. The cost of a building permit is generally between $40 and $130, with the average homeowner paying around $75. Not all hurricane windows and/or shutters are of the same quality. For maximum protection, choose products that meet Federal Emergency Management Agency (FEMA) ICC 500 standards. Doing so will help you achieve the highest discount possible on your homeowner’s insurance. In addition, some regions require you to install shutters with certain ratings and you must provide this information when applying for a building permit. To determine the square footage of a window, multiply the length times the width in inches, and then divide that number by 144. For example, a window that is 24” x 36” would be 864 divided by 144, or 6 square feet. How much do storm shutters cost? Storm shutters can cost anywhere from $1 per square foot for inexpensive plywood 1 to as much as $55 per square foot for roll-down shutters. How much does it cost to put up hurricane shutters? Some types such as fabric panels or plywood can be performed as DIY projects. When using a professional contractor, you can expect to pay anywhere from $35 to $85 per hour. A home with 350 square feet of windows would then cost between $1,750 and $4,250 in labor fees. Do you need a permit to install hurricane shutters? Permits are generally required for the installation of hurricane shutters, and may cost anywhere from $40 to $130, depending on your location. Additional approval could also be need from a Homeowner’s Association. How much do accordion hurricane shutters cost? Accordion hurricane shutters can cost between $15 and $25 per square foot. Do you need shutters with impact windows? Impact windows will not necessarily remain intact during a hurricane. Instead, heavy debris may cause them to crack in a spider web pattern. While this does protect your family from flying shards of glass, you will still need to replace the glass. Hurricane shutters on top of impact windows will provide maximum protection during a storm. How much does it cost install hurricane shutters in my city? Cost install hurricane shutters varies greatly by region (and even by zip code). To get free estimates from local contractors, please indicate yours. Thermoplastic polymer with high impact strength used in a variety of applications such as compact disks and bulletproof windows. Cost Considerations: Polycarbonate prices are based on panel size. A 6MM x 48"x96" clear twinwall polycarbonate sheet generally costs between $48 and $67.